In the pod, we all take on the role that suits the work in front of us. Everyone is a designer. Everyone can question each other’s work. Everyone has to function as a “strategist,” which really means figuring out how to do what’s right for our customers. Find a web design career while working in and enjoying the beauty of the life that awaits you in the mountains of western North Carolina. 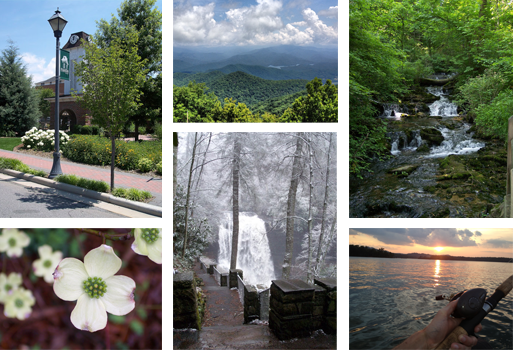 Located in the foothills of the Great Smoky Mountains 65 miles west of Asheville, NC and 130 miles north of Atlanta, GA, our office lies within the Blue Ridge mountains where beautiful scenery, hiking, fishing, history and Southern hospitality are a way of life. At SiteDart Studio, we hire people that ‘handle it’ for our clients. We treat our staff with the same philosophy. Being a part of our team means we handle it for you wherever we can. We believe you should spend your nights with family and friends. We believe in your happiness. We believe you will enjoy these benefits. Please click here to let us know how you can make a difference. We’re always looking for amazing people. If you think we might be your next home, please submit your resume.